Organiser Bob Binnersley reports that the ’66 Soc celebrated the milestone of holding their 50th anniversary reunion on Saturday 3rd December. They are to be congratulated on this achievement which is even more impressive when you consider they have held a reunion every single year since qualification! You may read a report of the evening by clicking here. 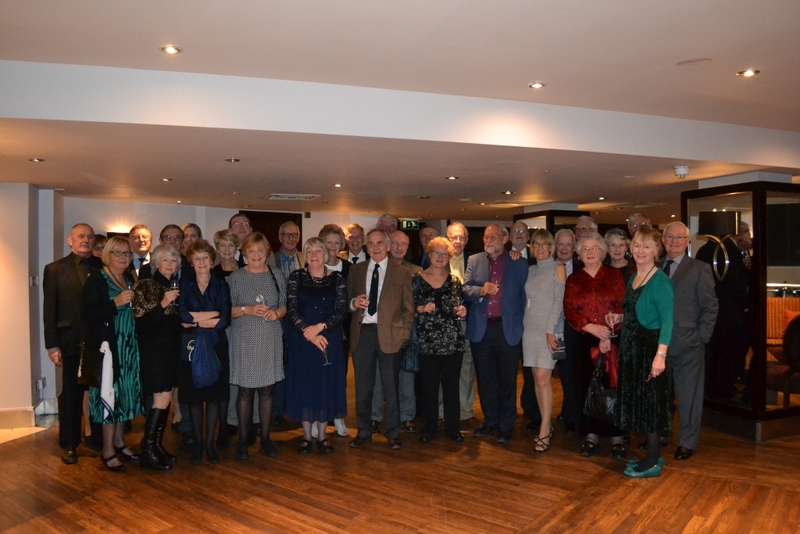 A select gathering of twenty members met to celebrate the 49th reunion of the ’66 year of qualification of dental graduates at the Mercure Brigstowe Hotel. An excellent meal was accompanied by much noisy discussion and reminiscence as usual. It was noted that Dave Baker and Ray Hackerman were quite seriously ill and best wishes are sent for a speedy recovery. 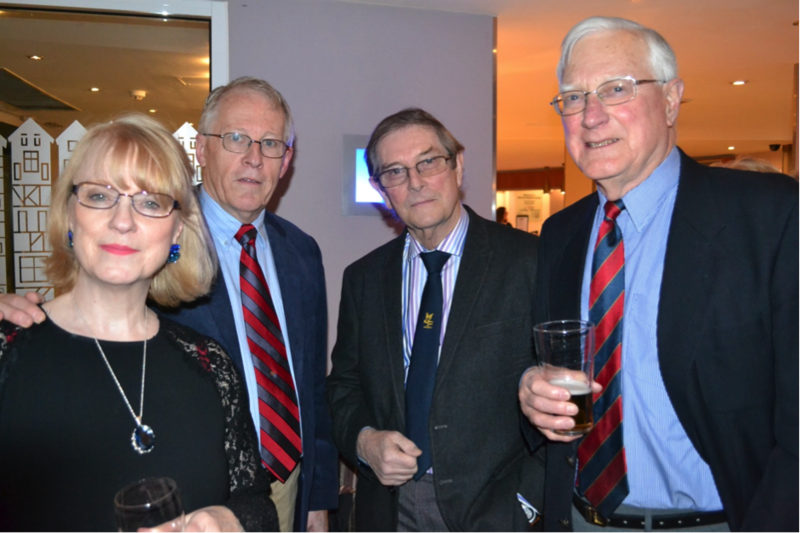 Some members were absent due to family commitments and Norman Price had to call off at the last minute, but everyone is determined to gather to celebrate the 50th reunion which it is hoped will be held on the first Saturday in December 2016. Members travelled from far and wide to attend, from the Marches, the Midlands and Devon, and even from as far as Hotwells to attend. Reg Andlaw was present adding his seniority as an ex-member of staff and Chairman of our alumni association. Sister Davison sent her best wishes. 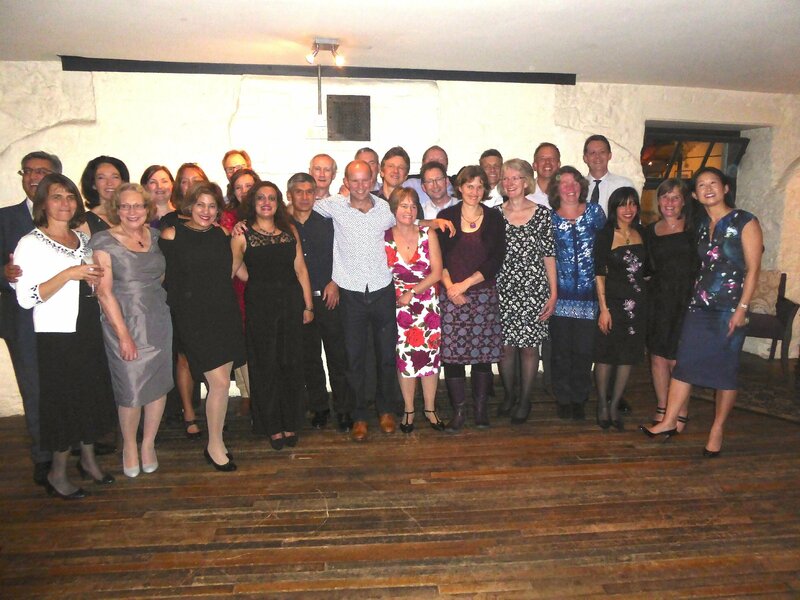 It was back in January 2014 that we decided to gather our year of dental graduates together for a 25-. After much research and perseverance we contacted almost everyone in the year (thanks to the help of the Bristol Alumni, the Dental Alumni and the General Dental Council). This led us as far away as Singapore, USA, Australia and Dubai. However, the majority of us were in and around Bristol, London or Yorkshire! In the end we had a very good turn out of dentists and many of their partners as well. We started our weekend of fun with drinks at the Dental Hospital Bar – well that was the plan but the current bar is not now open every Friday. That didn’t stop us and we headed to the White Hart pub, and then onto a good meal out at Carluccios in Broadmead (which we hardly recognised) followed by drinks well into the night at the Hotel Du Vin. On the Saturday Gordon Gray, a previous dental dean, gave us a very informative and entertaining tour of the dental school. Again, apart from the entrance to the BDH and the Oral Surgery dept everything else was pretty much unrecognisable to us. We were all amused by the library, which now contains no books and only banks of computer screens – oh how the times change!! At the Hotel Du Vin on Saturday evening there were 28 out of the 42 in our year – a year in which everyone passed finals and Robin Matthews the dean 25 years ago wore white gloves at our final year dinner to mark this notable, but not unique event. We did joke that we had changed far less as a group in 25 years than Bristol and the BDH had. We did however notice the arrival of the odd silver hair amongst our number – very appropriate to celebrate our silver anniversary! In contrast to our 5 and 10 year reunions where people were striving to become consultants, practice owners etc, this time we were all much more chilled and family were more important. However, almost everyone was still practising in one form or another. One comment made was ‘we were all comfortable in our own skins now’ which led to a fantastic evening of fun and reminiscing over many happy times we’d all spent together so many years before. This did mean trying to gather a group together for a formal photo impossible as we were all more interested in chatting; but we did at least get a few good memories of a great weekend which finished well into the early hours of Sunday. Roll on our 30-year reunion! Many thanks to Reg Andlaw, Chris Stephens and Gordon Gray for helping in the preparations; and also Rachel Day for organising a 25 year reunion booklet of “Where we all are now – 25 years on” and Taj and Amith for setting up a photo page for us all to view. Louise Newman, Ellen Davies, Nargess Sina, Noozy Dathi, Karim Verjee, Jonny McVeigh, Jane Webb, Sarah Gibbs, Rachel Day, Helen Fuller, Tajinda Sehgal, Yvonne Cartledge, Melissa Chen, Karim Nasser, Sophie Watkins, Jane Saville, Sally Morgan, Chris Dunham, Wendy Cole, Jim Tidswell, Mark Thomas, Mark Chamberlain, Paul White, Stuart Galvin, Simon Robertson, Stephen Clarke, Dexter Brown.